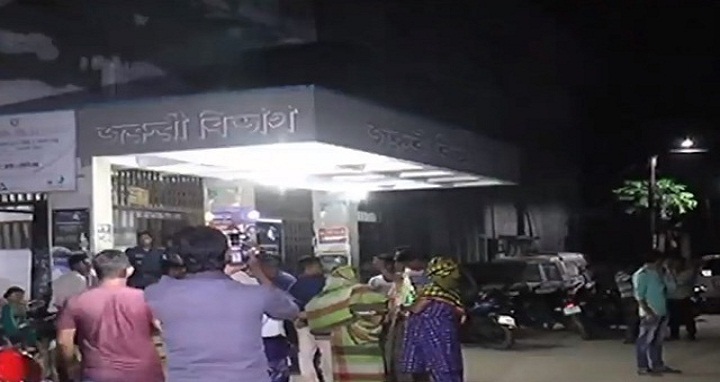 Dhaka, 14 May, Abnews: A Torun League leader was killed and a Jubo League leader injured in a bomb attack in Palbari area of the district town on Sunday night. The deceased was identified as Sheikh Monirul Islam, 35, organizing secretary of district Torun League and son of Fazlur Rahman of Police Lines Talikhona area while the injured is Sontosh Ghosh, 38. The incident occurred when a gang of miscreants hurled a bomb towards Manirul and Sontosh while they were standing in the area around 11:45 pm, leaving the duo critically injured, said A K M Azmal Huda, officer-in-charge of Kotwali Police Station. Injured Monirul died on the way to Jashore General Hospital. The reason behind the attack could not be known yet, said the OC adding that police are conducting drive to arrest the attackers.